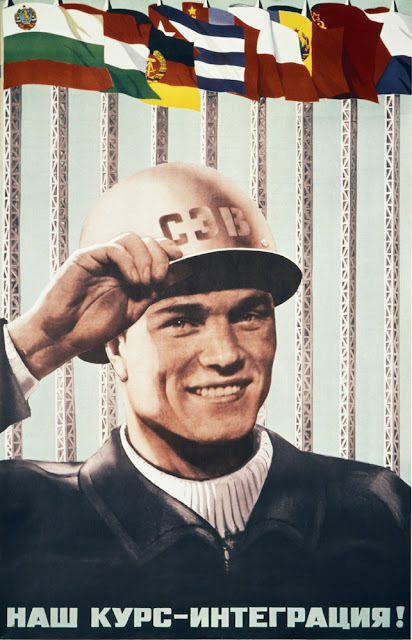 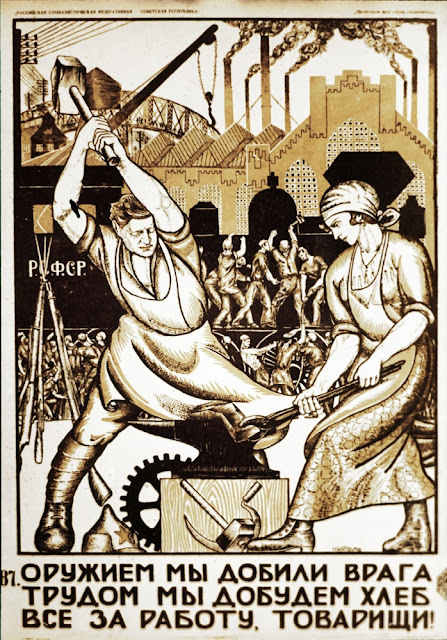 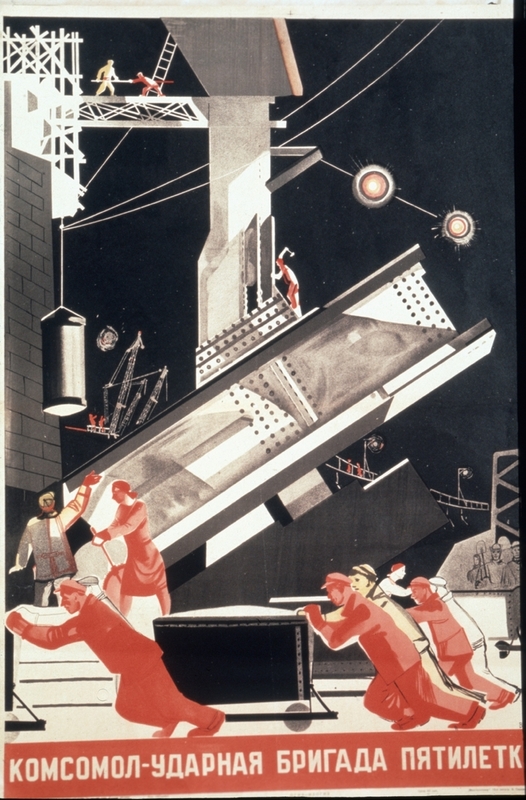 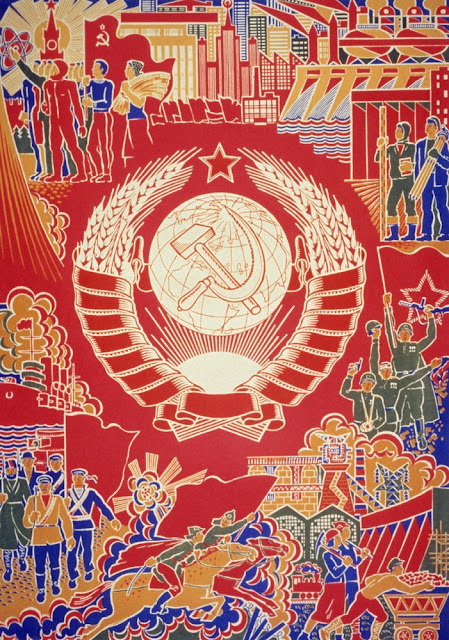 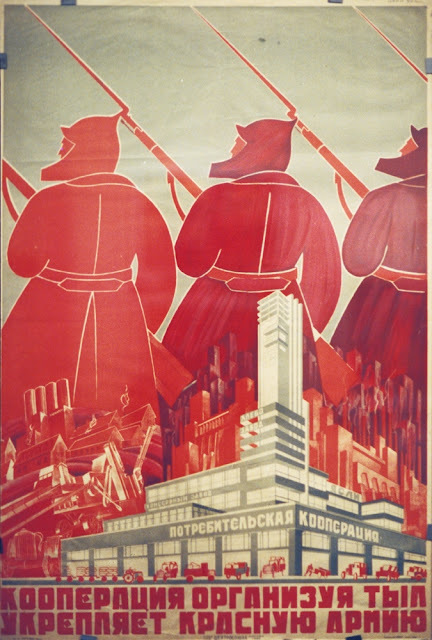 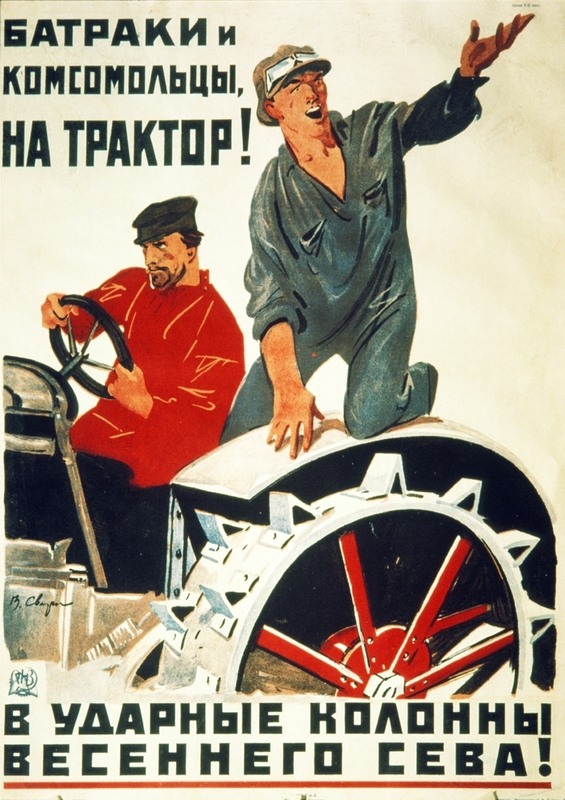 Constructivist Soviet Poster from the 20’s: "All workers choose the Soviets!" 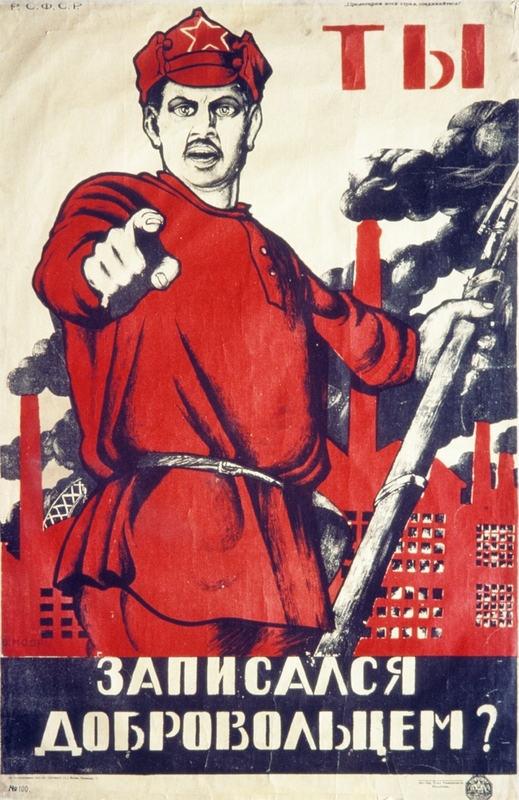 1920 poster: “Vrangel [a White Army general in the Russian Civil War] is next on line." 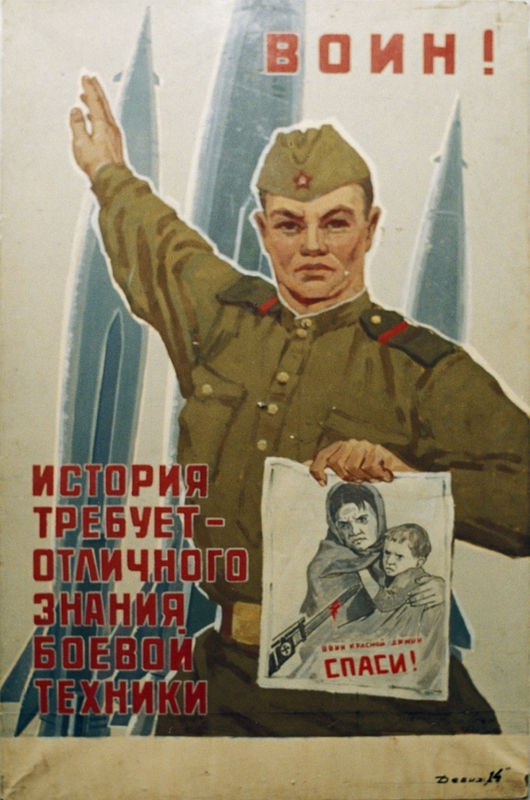 Anti-Nazi poster: "Worker, be on the alert!" 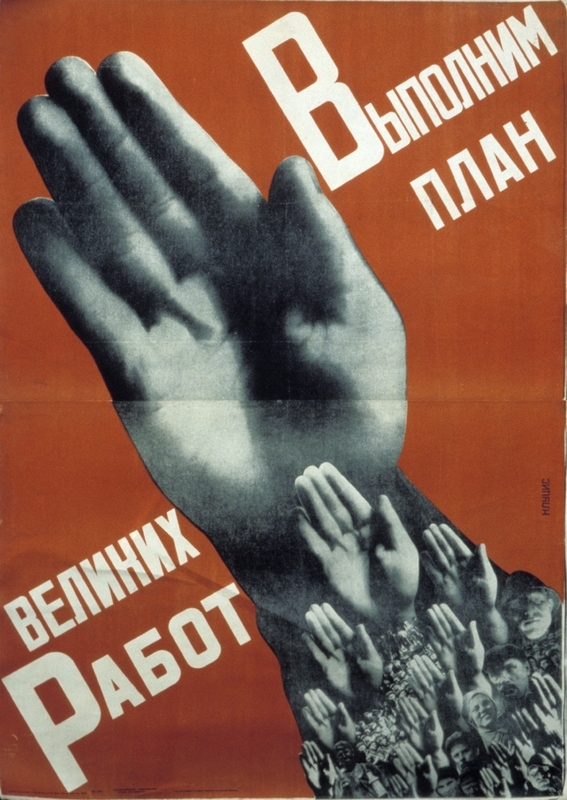 1928: "Down with world fascism!" 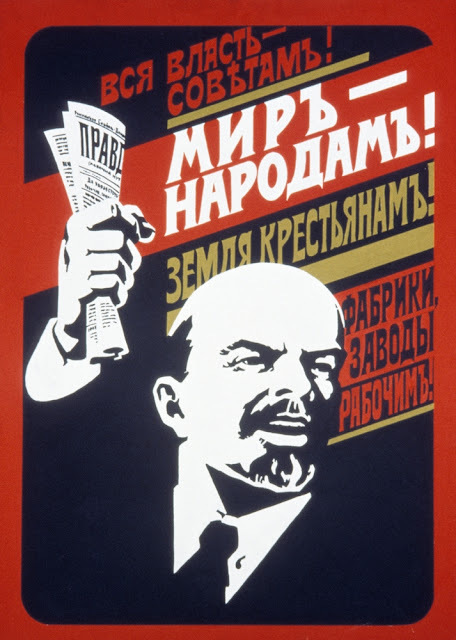 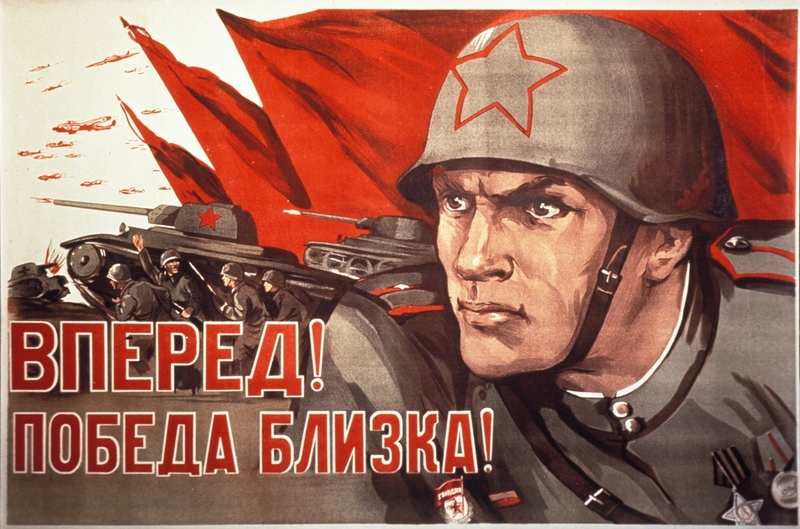 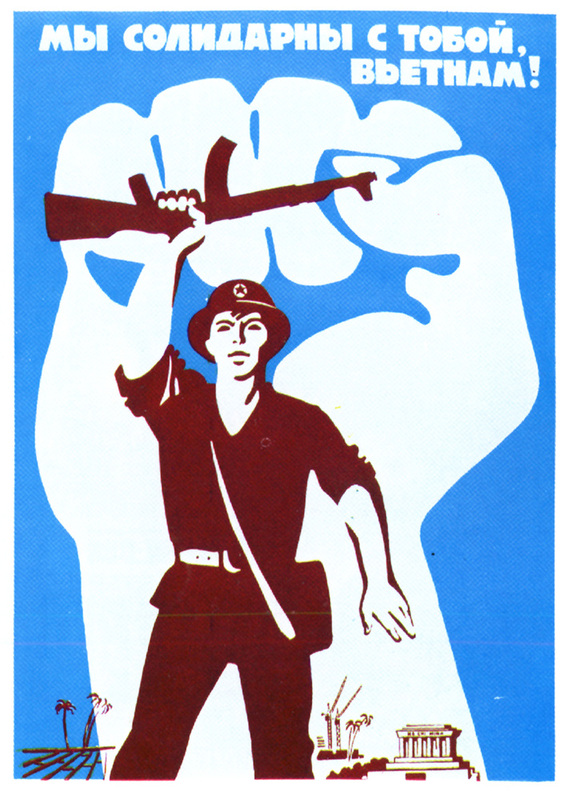 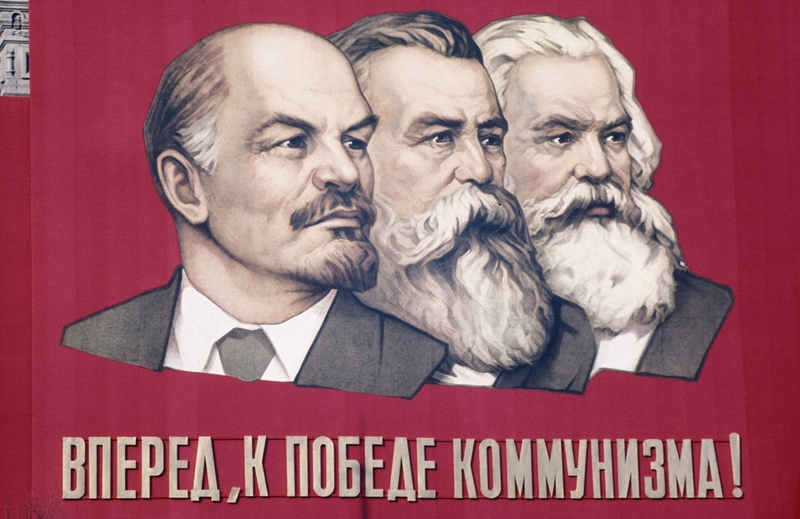 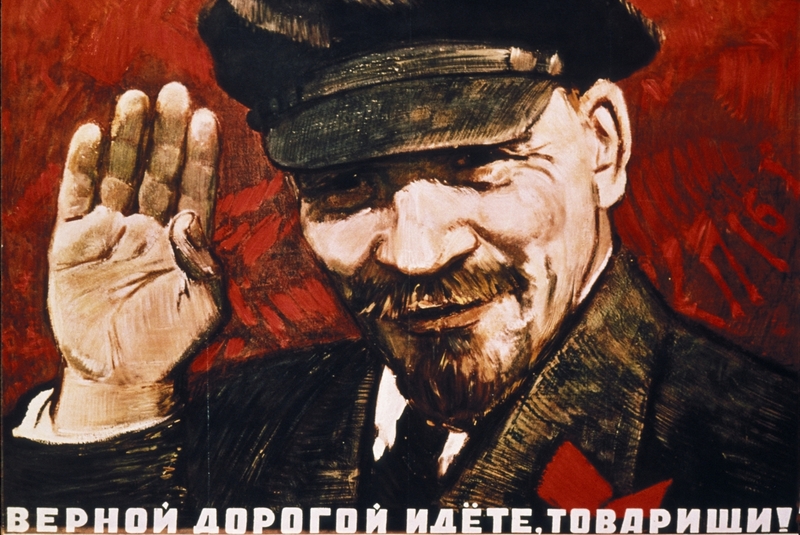 "Long live the socialist revolution!" 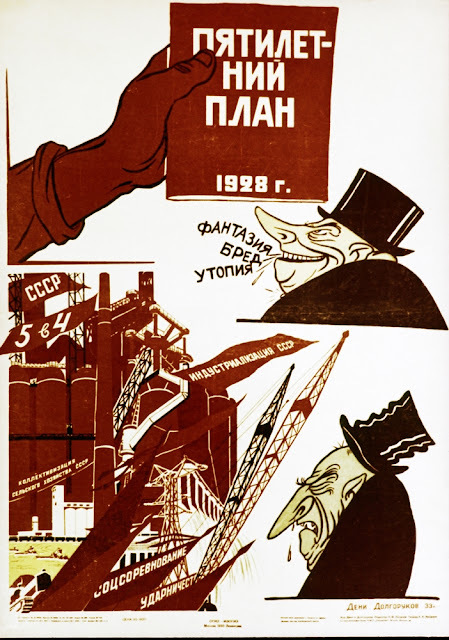 1930’s: “For the Industrial Plan; for completing a five-year plan in only four; against religion." 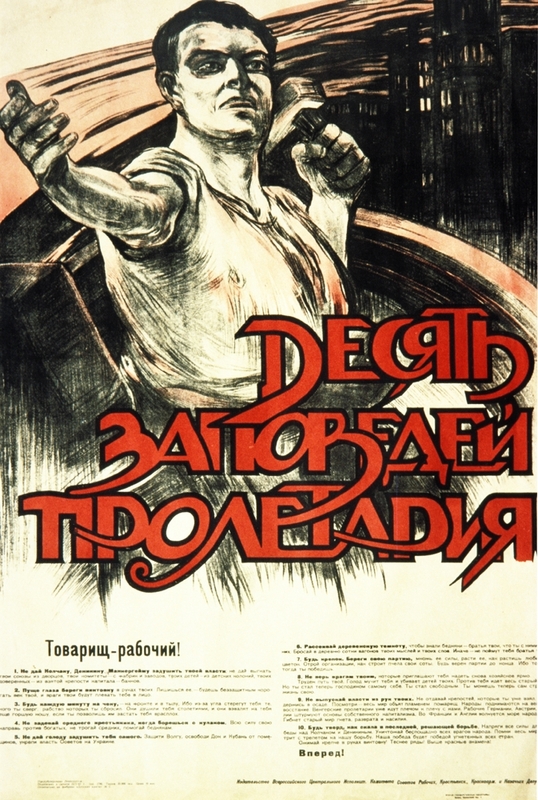 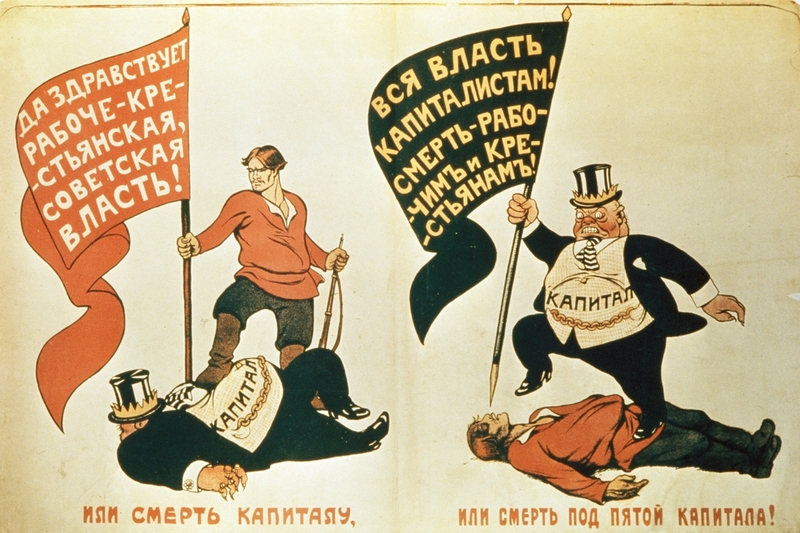 1919: "Death to capital, or death under the heel of capitalism!" 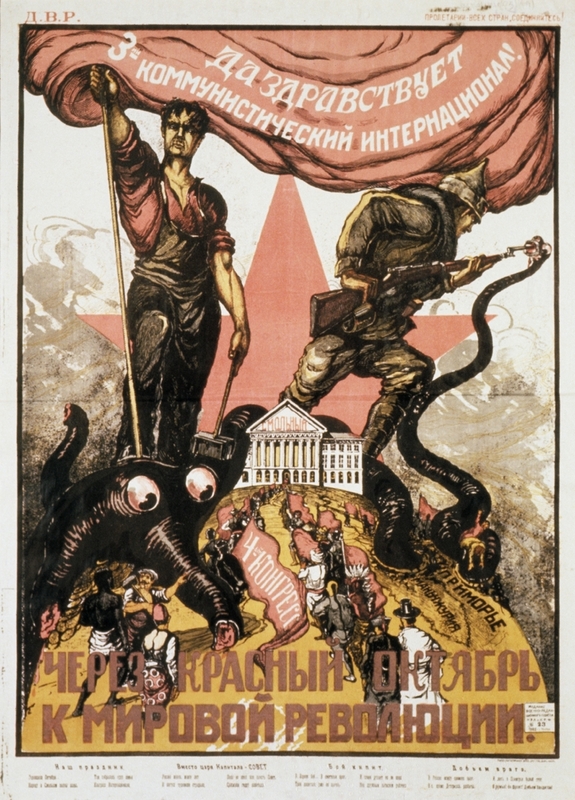 1921: “Proletarians of all countries, unite!" 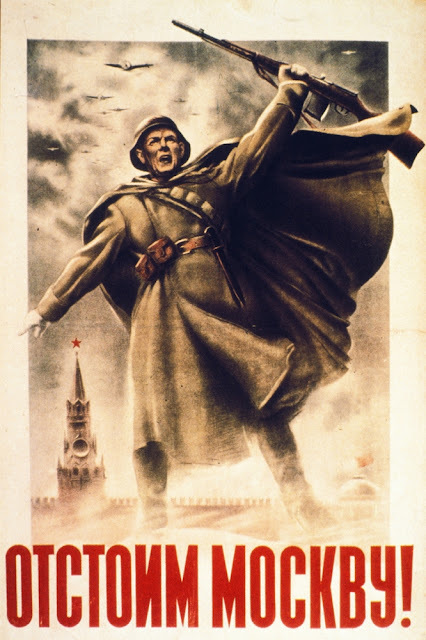 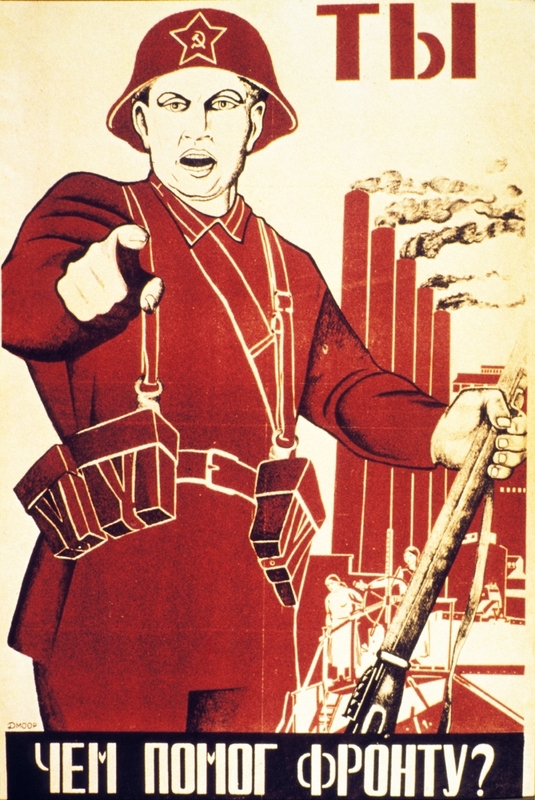 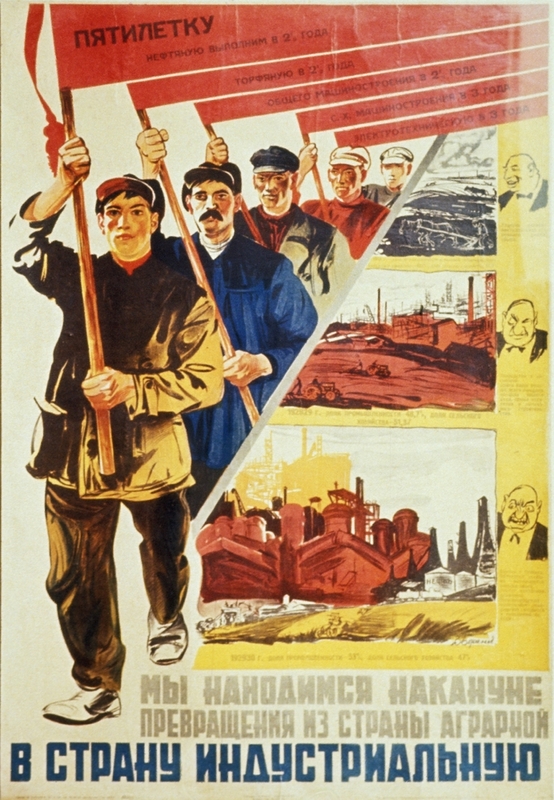 World War II poster: "The Motherland Calls"
1930s poster: "Communist Youth, to tractors! Into the shock troops of the spring harvest!" 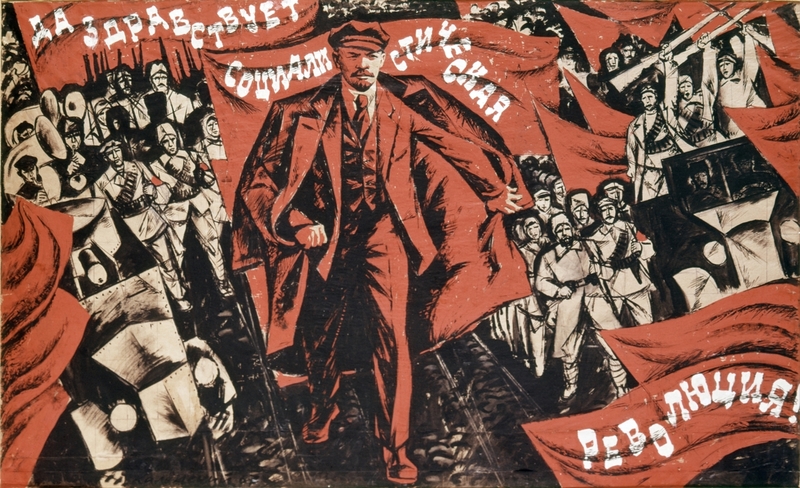 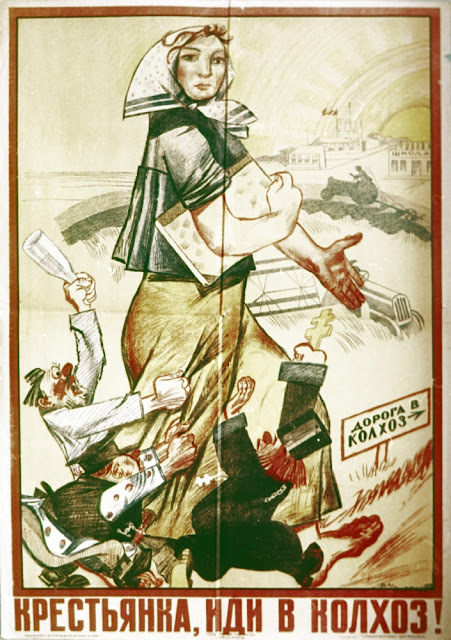 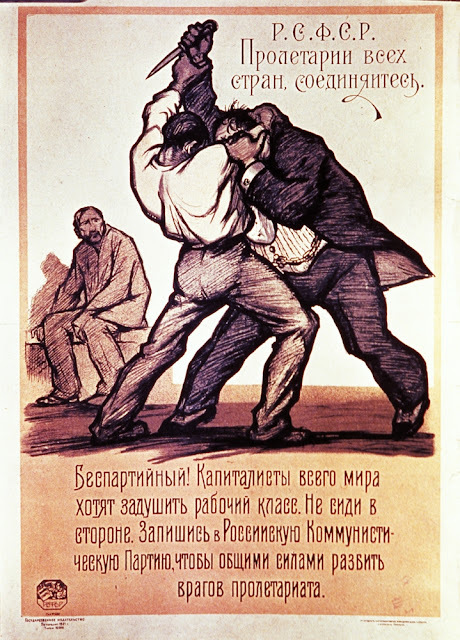 Poster from the Fourth Communist Party Conference, 1922. 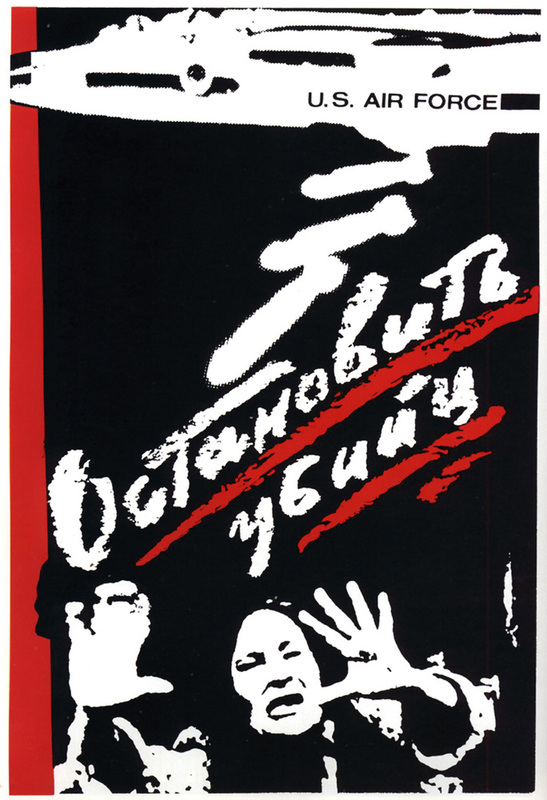 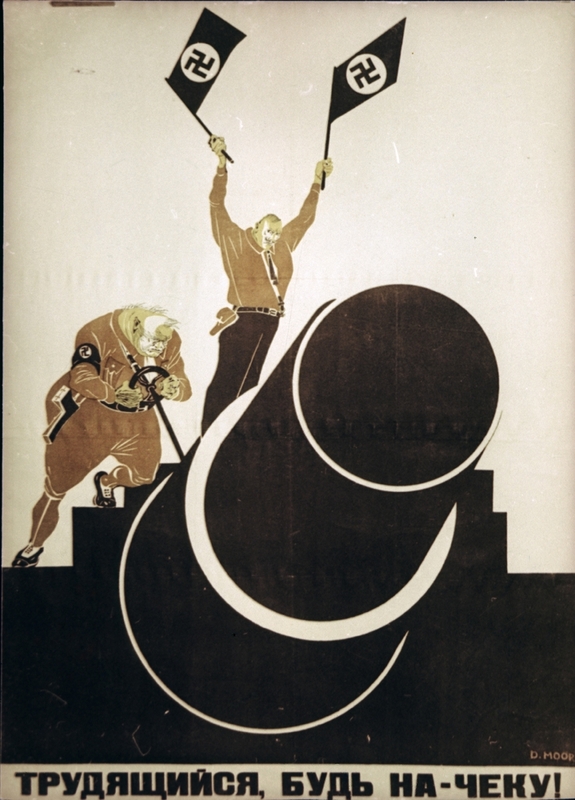 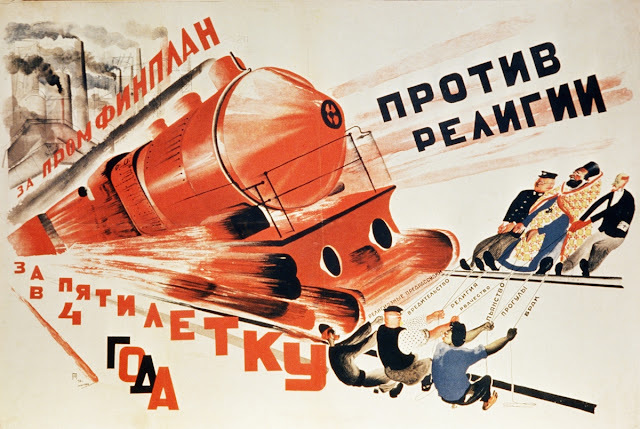 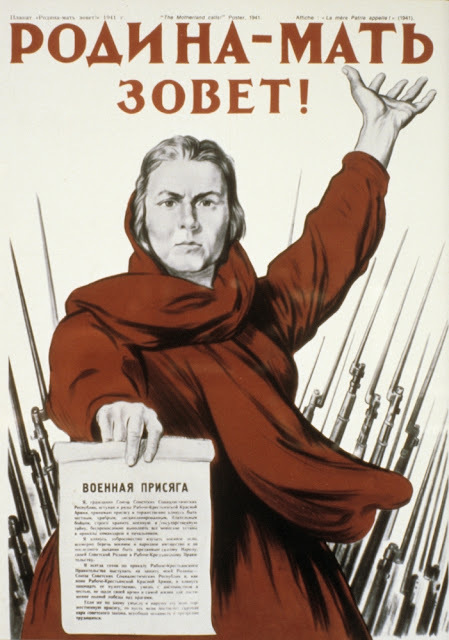 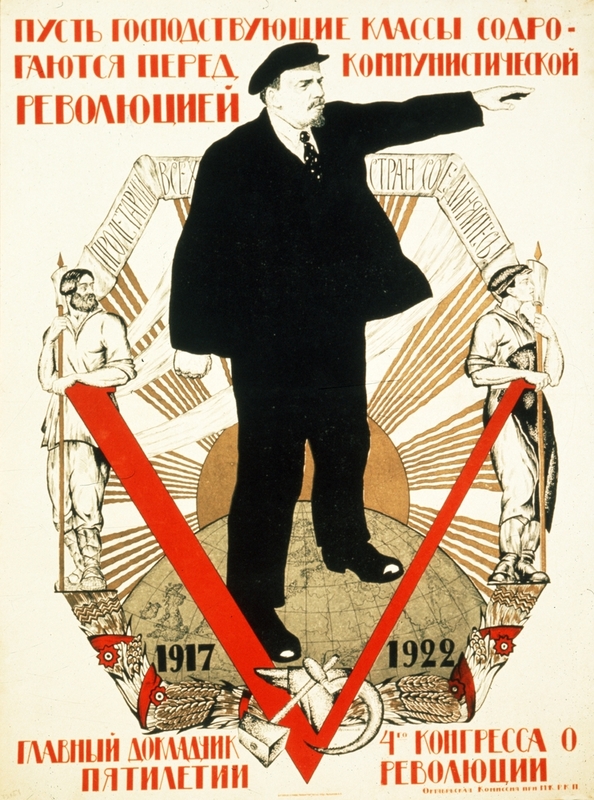 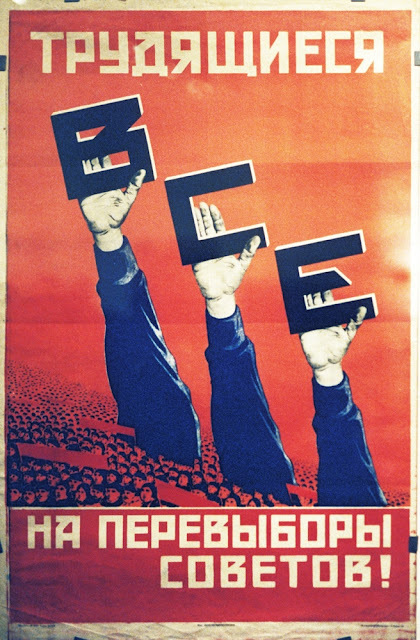 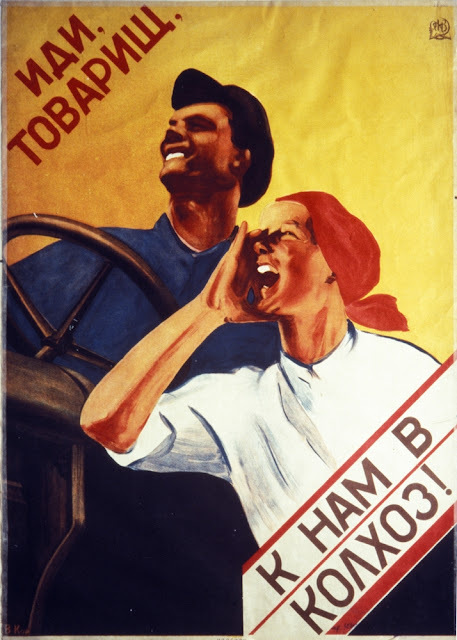 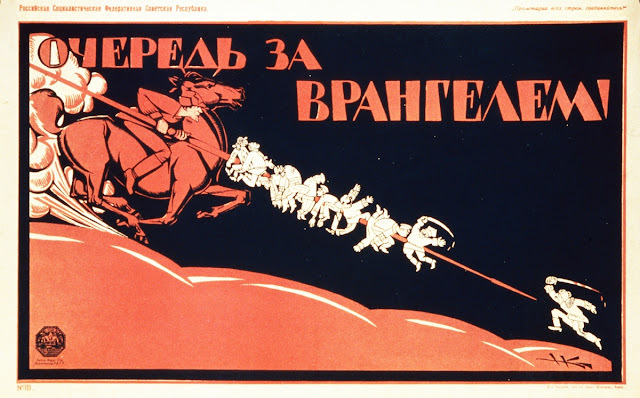 1928: Political poster in support of the Five-Year Plan by Deni Dolgorukov. 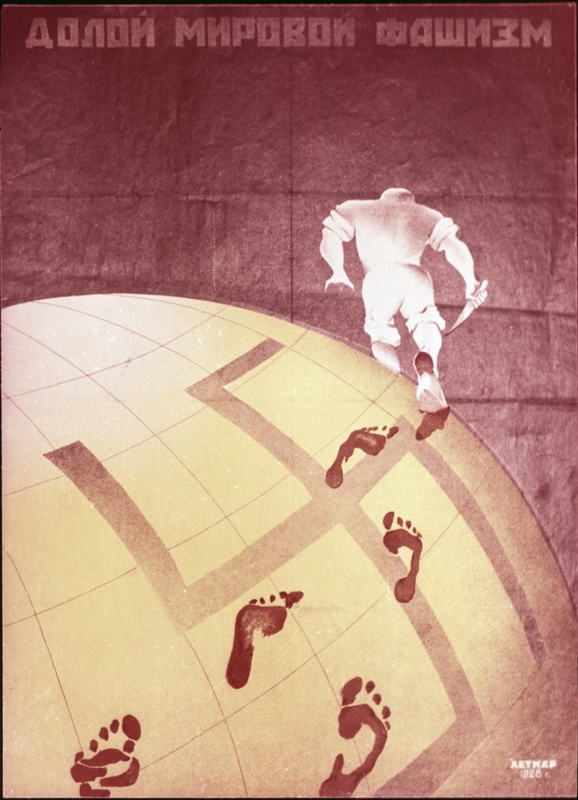 World War II: "How have YOU aided the front?" 1930: "Peasant woman, to the collective farm!" 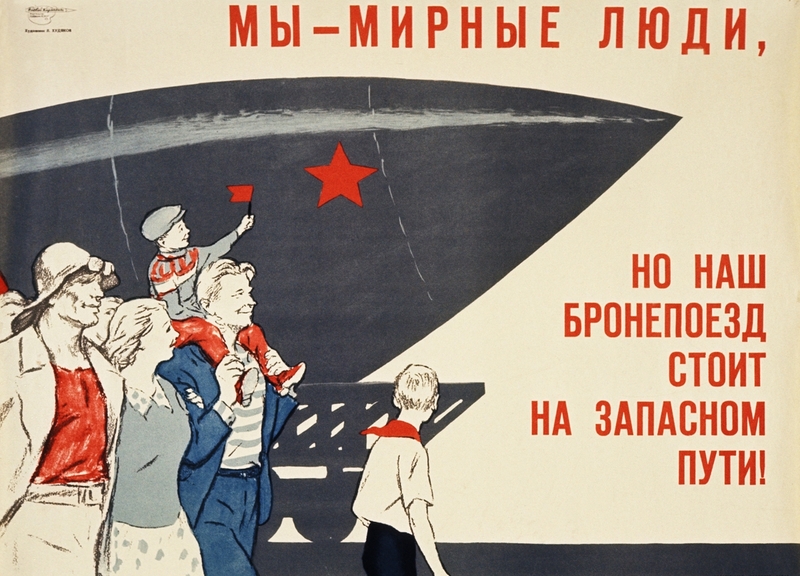 1930's poster supporting the Five-Year Plan. 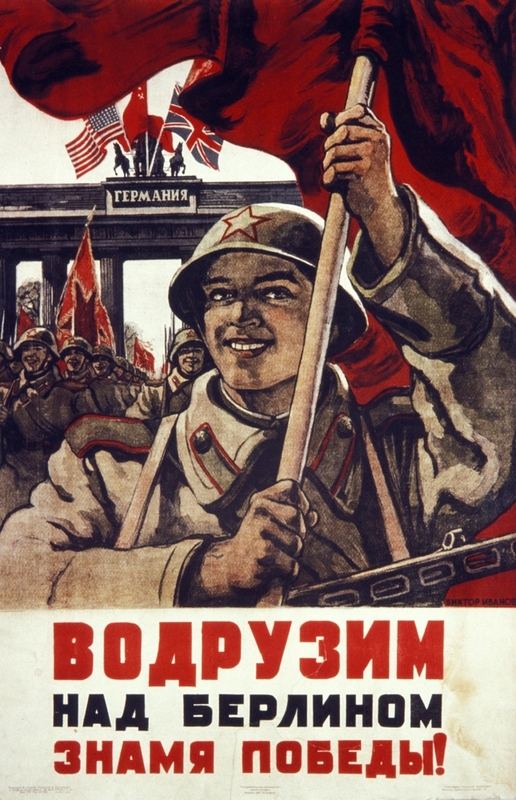 World War II: “Plant the flag of victory over Berlin!"